It’s about time we eradicated the stereotype that students only eat rice and pasta. There are plenty of us who cook dinners that don’t include these “student staples”. 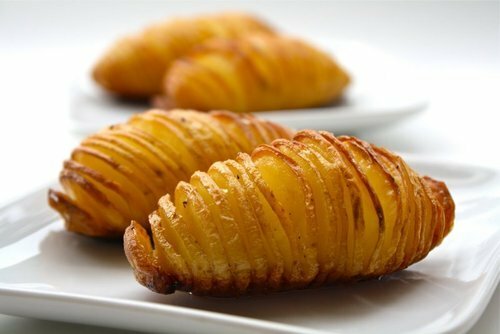 If you are missing mammy’s dinners, and you haven’t been very adventurous with your cooking in college yet, then here are a few simple recipes that include the humble potato. Potatoes do take that little bit longer to prepare and cook, so allow yourself plenty of time. Mashed potatoes: Just like the ones mammy makes at home. Peel some potatoes and boil or steam them until they have softened (steaming takes slightly longer than boiling). Mash your potatoes with a little salt, butter and milk until they are all whipped up and creamy. Smother with gravy for that Sunday Roast feeling. Sliced and seasoned potatoes: This one is simple and delicious. Wash some medium-sized potatoes and leave the skin on. Cut them into thin slices but not all the way through, so the potato is still intact. Pour a little olive oil over them and sprinkle your seasoning of choice on top. Bake in the oven for about 30 minutes until crispy. Sweet potato fries: A healthy and tasty alternative to regular chips. Peel a sweet potato and cut it up into chips. Place in a bowl with a little olive oil and mix them around until they are all covered in oil. Lay the chips out on a tray and bake in the oven for 20-25 minutes.